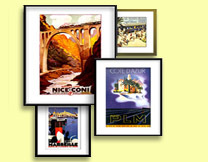 is owned and operated by experienced professionals and like minded collectors, all of whom share a great passion for the craft, ensuring that the company products will be treasured by you and your family for many years to come. celebrated its 50th birthday in 2016, on which occasion we decided to re-enter the 2-Rail fine scale market. 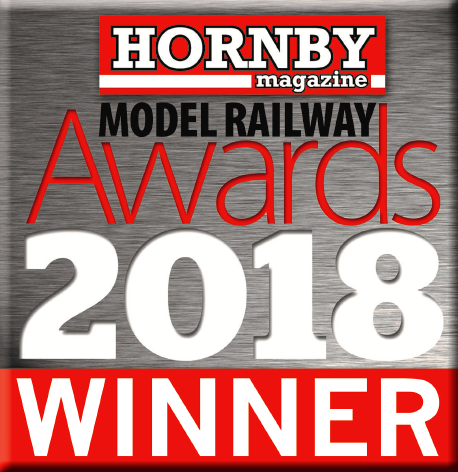 The first products, British MK1 mainline coaches, were released in November 2017 and were awarded in October 2018 "Best O Gauge Carriage/Wagon" by over 2 700 readers of the Hornby Model Railway Magazine (see the events section of the website). Our locomotives will be issued henceforth in either 2-Rail or 3-Rail. The 3-Rail locomotives will be suitable to run on all 3-Rail track from 2ft radius tinplate tubular rack and larger, and our 2-Rail locomotives will be suitable to run on all commonly used 2-Rail track down to PECO code 124 and LENZ. The wheel dimensions and back to back will be different for both, as it should be. went into a slumber in 1996, but was revived in the summer of 2008. We are now able to look back on ten very successful years, not only in the British market but also in the U.S.A., Canada, Europe, Australia and New Zealand. All production takes place on our own premises, using our own on-site facilities, which include tool making, metal stamping, tin printing, pad stamping and spraying, always striving to achieve the very highest of production standards, which are only possible when in direct control of the crucial manufacturing processes. At the time of writing we are looking towards a period of potential trade related uncertainly that hopefully will be resolved shortly. Still for our 3-Rail product line we have decided to establish a factory outlet in the UK trading as Darstaed GB and our 2-R products will be available exclusively from Ellis Clark Trains in Skipton where a dedicated Darstaed showroom was opened last month (November 2018). Of necessity, products are produced in batches and from time to time may become unavailable. However, in line with customer demand, any one of the company’s range can be brought back into production to meet that demand, therefore maintaining customer satisfaction. If, alternatively, the announcement of a new product fails to generate sufficient interest, then as a manufacturer we reserve the right to withdraw the proposed production of that particular model. It is also company policy never to artificially limit production numbers in order to actively drive up the value of our products. Our models are built to be operated and enjoyed and should not be allowed to become objects of speculation, inevitably depriving would-be customers with smaller wallets. The opportunity to purchase the items of their dreams for a fair price will always be at the forefront of Darstaed company policy. At every turn we strive to offer our customers a better product at the best possible price giving the greatest possible value for your money.